A sneak peak at the mini bear for the floating hunny pot. 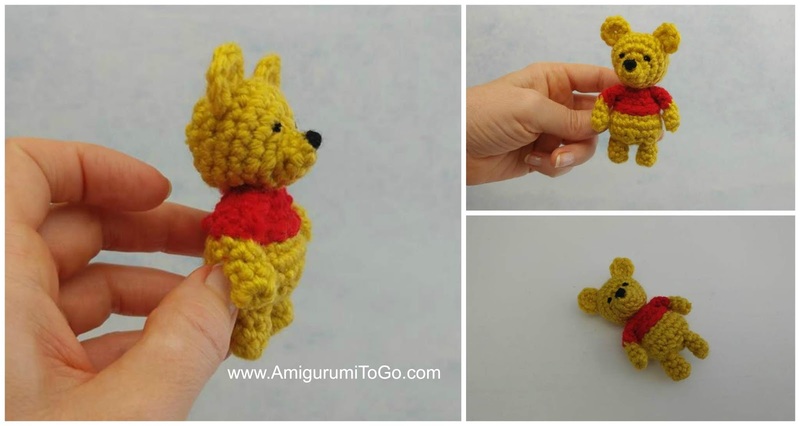 I'm still working on the pattern for the bear, the hunny pot and balloon are already available for free here. I'm trying to get to 10,000 followers on my instagram so please follow me if you enjoy amigurumi, I'd appreciate the help!